Cognitive neuroscience as a multidisciplinary field, seeks to understand human behavior at the intersection of social, cognitive, and neural spheres of science. Neuroscience can help organizations become more effective by support productivity and employee satisfaction. With this paper, it is aimed to contribute to literature with the potential promise of cognitive side of organizational behavior as synergic young field. 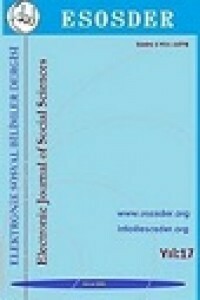 The main aim of this paper is to discuss neuroscience techniques and ongoing studies with ethical perception that already existed in the organizational behavior field. This new field has emerged to investigate the cognitive neuroscience of organizational behavior and so, organizational scholars have begun to take note of the potential implications of neuroscience at workplace research, the popularity of new field is attested by recent conferences, special issues of journals. But the theoretical codes of this new science derive from an uneasy embracing of two different field of social behavior: sociobiology and evolutionary psychology on the one hand, and social psychology on the other. Arvey, R. D., Rotundo, M., Johnson, W., Zhang, Z., & McGue, M. (2006). The determinants of leadership role occupancy: Genetic and personality factors. The Leadership Quarterly, 17, 1–20. Arvey, R. D., Zhang, Z., Avolio, B. J., & Kruger, R. F. (2007). Developmental and genetic determinants of leadership role occupancy among women. Journal of Applied Psychology, 92, 693–706. Becker, W. J., & Cropanzano, R. (2010). Organizational neuroscience: The promise and prospects of an emerging discipline. Journal of Organizational Behavior, 31, 1055–1059. Bergué, C. D. (2010). Brain and human behavior in organizations: A field of neuro-organizational behavior. In A. A. Stanton, M. Day & I. M. Welpe (Eds. ), Neuroeconomics and the firm. Northampton, MA: Edward Elgar. Boyatzis, R. E., Smith, M. L., & Blaize, N. (2006). Developing sustainable leaders through coaching and compassion. Academy of Management Learning & Education, 5, 8–24. Cacioppo, J. T. (2001). et al. (eds) Foundations in Social Neuroscience (MIT Press, Cambridge, Massachusetts. Camerer, C. F., Loewenstein, G. F. & Prelec, D. (2005). Neuroeconomics: How Neuroscience Can Inform Economics. Journal of Economic Literature, 43(1), 9- 64. Cohen, M. D.& P. Bacdayan. (1994). Organizational routines are stored as procedural memory: Evidence from a laboratory study. Organ. Sci. 5 554–568. David, A. Waldman, P.A, Balthazard, & Suzanne J. P. (2009). Can We Revolutionize the Way That Inspirational Leaders Are Identified and Developed? Information Systems, 60–75. Elsbach, Barr, & Hargadon. S. (2005). Identifying Situated Cognition in Organizations Organization Science 16(4), pp. 422–433. Frost , C. J., & Lumia, A. R. (2012). The Ethics of Neuroscience and the Neuroscience of Ethics: A Phenomenological–Existential Approach. Sci Eng Ethics 18:457–474, DOI 10.1007/s11948‐012‐9388‐1. Goleman, D., Boyatzis, R., & McKee, A. (2001). Primal leadership. Boston, MA: Harvard Business School Press. Heisel, A. D., & Beatty, M. J. (2006). Are cognitive repre- sentations of friends’ request refusals implemented in the orbitofrontal and dorsolateral prefrontal cortices? A cognitive neuroscience approach to ‘theory of mind’ in relationships. Journal of Social and Personal Relationships, 23, 249–265. Hines, T. (1987). Left brain/right brain mythology and implications for management and training. Academy of Management Review, 12, 600–606. Kaminski-da-Roza, V, (1984) Managing the "right-brain" half of salary review. Supervisory Management, 29(2), 8-11. Knabb, J. J., Welsh, R. K., Ziebell, J. G., & Reimer, K. S. (2009). Neuroscience, moral reasoning, and the law. Behavioral Sciences & the Law, 27, 219–236. Kuhn, T. S. (1970). The Structure of Scientific Revolutions, 2 ed. University of Chicago Press, Chicago: IL. Lee N & Chamberlain L. (2007). Neuroimaging and psychophysiological measurement in organizational research: an agenda for research in organizational cognitive neuroscience. Annals of the New York Academy of Sciences. 1118.18-42. Levesque, L. Wilson, L., J. M. & Wholey, D.R. (2001). Cognitive divergence and shared mental models in software development project teams. J. Organ. Behavior 22 135–144. Lewicki, R. J., McAllister, D. J., & Bies, R. J. (1998). Trust and distrust: New relationships and realities. Academy of Management Review, 23, 438–458. McAllister, D. J. (1995). Affect- and cognitionbased trust as foundations for interpersonal cooperation in organizations. Academy of Management Journal, 38, 24–59. Meindl, J. R., Stubbart, C., & Porac, J. F. (1994). Cognition Within and Between Organizations: Five Key Questions. Organization Science, 5(3), 289–293. http://doi.org/10.1287/orsc.5.3.289. Mintzberg H. (1976). Planning on the left side and manag- ing on the right side. Harvard Business Review, 54, 49– 58. Naqvi, N., Shiv, B., & Bechara, A. (2006). The role of emotion in decision making: A cognitive neuroscience perspective. Current Directions in Psychological Science, 15, 260–264. Okhuysen, G. A. (2005). The creation and change of group rou- tines: Learning in a SWAT team. K. Elsbach, ed. Qualitative Organizational Research, Best Papers from the Davis Conference on Qualitative Organizational Research. Information Age Publishing, Greenwich, CT, 139–168. Paulus, M. P., Rogalsky, C., Simmons, A., Feinstein, J. S.,& Stein, M. B. (2003). Increased activation in the right insula during risk-taking decision making is related to harm avoidance and neuroticism. NeuroImage, 19, 1439–1448. Phelps, E. A. (2006). Emotion and cognition: Insights from studies of the human amygdala. Annual Review of Psychology 57, 27–53. Rafaeli, A., J, Dutton, C. V, Harquail, S. & Mackie-Lewis. (1997). Nav igating by attire: The use of dress by female administrative employees. Acad. Management J. 40 9–45. Salloway, S. P., Malloy, P. F., & Duffy, J. D. (2001). The frontal lobes and neuropsychiatric illnesses. Washington, DC: American Psychiatric Publishing. Sanfey, A. G., Rilling, J. K., Aronson, J. A., Nystrom, L. E., & Cohen, J. D. (2003). The neural basis of economic decision-making in the ultimatum game. Science, 300, 1755–1758. Senior, C., Lee, N., & Butler, M. (2011). Organizational cognitive neuroscience. Organ. Sci 22, 804–815. doi: 10.1287/orsc.1100.0532. Senior, C., & Lee, N. (2013). The state of the art in organizational cognitive neuroscience: the therapeutic gap and possible implications for clinical practice. Frontiers in Human Neuroscience, http://doi.org/10.3389/fnhum.2013.00808. Sutton, R. I.& A. B. Hargadon. (1996). Brainstorming groups in context: Effectiveness in a product design firm. Admin. Sci. Quart. 41 685–718. Tabibnia, G., Satpute, A. B., & Lieberman, M. D. (2008). The sunny side of fairness: Preference for fairness activates reward circuitry (and disregarding unfairness activates self-control circuitry). Psychological Science, 19, 339–347. Thatcher, R. W., Krause, P., & Hrybyk, M. (1986). Corti- cocortical association fibers and EEG coherence: A two compartmental model. Electroencephalography and Clinical Neurophysiology, 64, 123–143. Thatcher, R. W., North, D., & Biver, C. (2007). Develop- ment of cortical connections as measured by EEG coher- ence and phase delays. Human Brain Mapping, 29, 1400– 1415. Walsh, J. P., C. M. Henderson, J& Deighton. (1988). Negotiated belief structures and decision performance: An empirical investigation. Organ. Behavior Human Decision Processes 42 194–216.